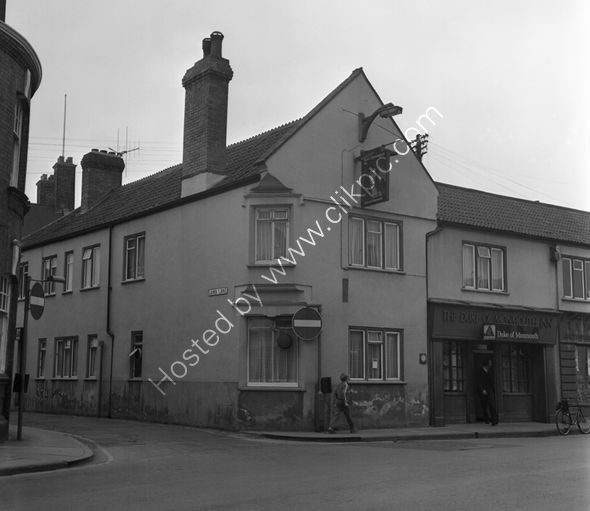 Clive Thompson LRPS Photography: Duke of Monmouth 61 High Street, Bridgwater in 1973. Duke of Monmouth 61 High Street, Bridgwater in 1973. The Duke Of Monmouth in 1973. Researched in 2018 and still going strong as The Duke. For commercial use of this photograph please visit www.alamy.com and search for RFFCBD but for a one off print, please see below.